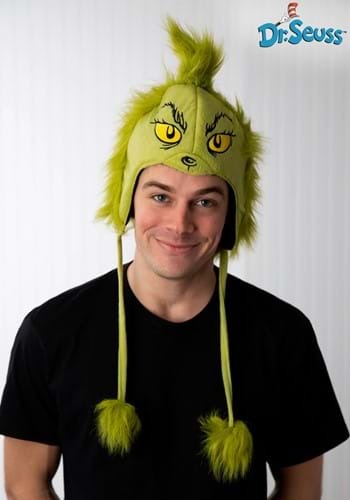 This Deluxe Grinch Hoodie Hat will keep you warm all throughout the holiday season! This green hat has the scary yellow Grinch eyes in front and is fuzzy and green on the top and back of the hat. The hat has two long fuzzy green pom poms. Steal Christmas in style!